Kay Kufera and Larry Artes. In the fall of 2017, Larry Artes wrote one of the most difficult emails of his life. For decades, Artes has had polycystic kidney disease (PKD), a chronic illness that can lead to kidney failure. Since his kidneys were approaching the failure threshold of 15 percent capacity, he added his name to the long list of others who need a functioning kidney. The only remaining option was to ask family, friends and close colleagues to consider donating one of their kidneys. About 600,000 people in the United States have PKD, according to the National Kidney Foundation (NKF). It’s a genetic disease that causes uncontrollable cystic growth on kidneys, the body’s primary blood-cleansing organs. Unlike simple kidney cysts, those resulting from PKD can lead to kidney enlargement, structure changes and lower function. Artes grew up knowing he might inherit the disease from his mother. Of her five sons, three inherited the disease and Larry is the last surviving family member with PKD. 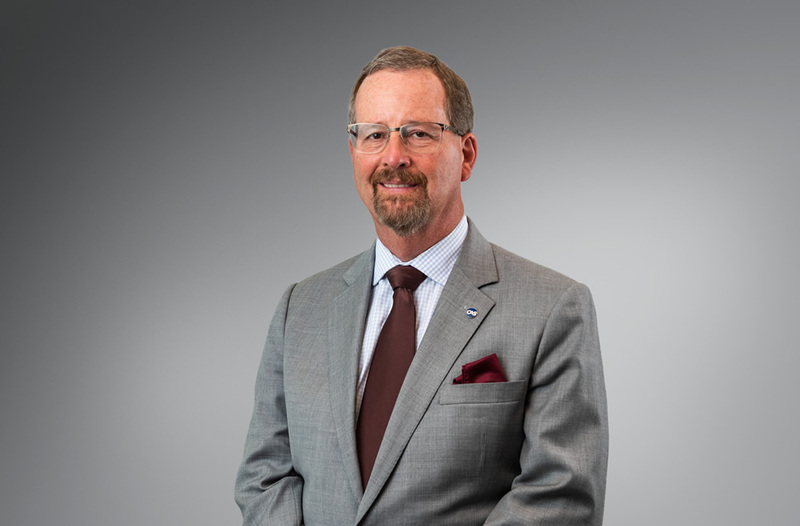 Artes learned his kidney challenges were growing worse when he passed a kidney stone while attending a CAS exam seminar at Georgia State University in 1980. Decades later, his kidney function began to decline and the kidney cysts expanded his organs to the size of footballs. During the summer of 2017, his symptoms placed him at donation status. Of the estimated 120,000 people awaiting organ donations in the United States, 100,000 are waiting for a kidney. * Patients include those who have autoimmune (e.g., diabetes) and urinary tract diseases. PKD is the country’s fourth-leading cause of kidney failure. Unfortunately, the median wait time is three and a half years and not everyone makes it. Thirteen people die every day waiting for a kidney, according to the NKF. Artes sent emails to expand the pool of prospects and his daughter created a Facebook page. The response was encouraging. “People who I had never met signed up for testing as possible donors,” he recalls. “It is humbling to see people do that.” While Artes hoped and waited for a donor, his kidney function continued to diminish and a meeting was scheduled in June to plan predialysis surgery. His best match turned out to be Kay Kufera, a CAS classmate. Artes and Kufera became Associates in spring 1988 and Fellows in fall 1990 (see photo next page). The two had a lot in common early in their careers. They began their actuarial work at the same company, the Baltimore, Maryland-based USF&G, which was acquired by the St. Paul Companies before being folded into Travelers Insurance. Artes was also a mentor to Kufera’s husband, Joe, an actuary-turned-statistician. During the years of taking exams, Kufera lived with two other female actuaries and shared a townhouse courtyard with Artes and his wife, Susie. When they embarked on different career paths, Artes stayed loosely in touch. Kufera is a pricing and reserving actuarial consultant who has served clients such as the National Flood Insurance Program. Artes retired after 35 years of service to insurance companies. During his career, he was a pricing actuary for workers’ compensation and commercial auto as well as construction industry-specific coverage. Artes and Kufera now live about 12 miles apart in Maryland. Shared Experience. 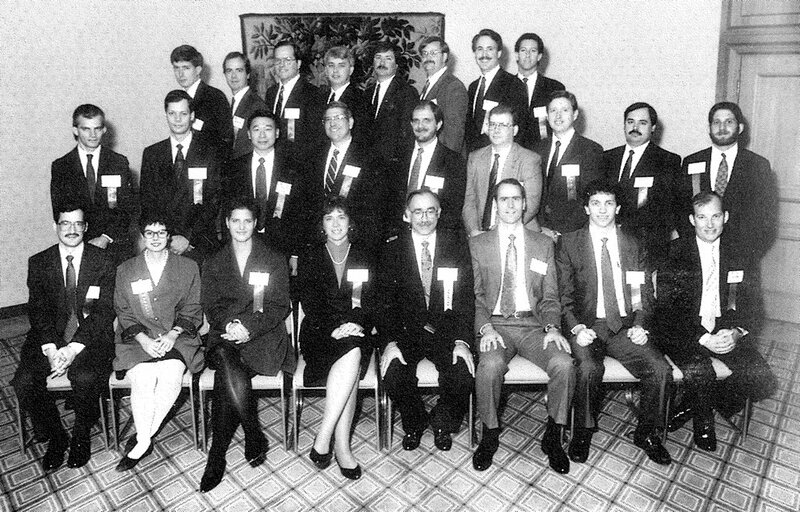 Seated in the front row of this photo of the New Fellows’ class of November 1990 are Kay Kufera (fourth from the left) and Larry Artes on the far right. Kufera and Artes also earned their Associateships at the same time in 1988. “I knew he would eventually need a kidney,” she says, but was unaware that non-relatives could match. After seeing Artes’ email, she started down the complex kidney donation testing process in November 2017. It began with a questionnaire to ensure that the potential donor understood the process and potential risks of donation and was in excellent physical health. There were also several tests to determine the likelihood that Artes’ body could accept Kufera’s kidney. But there is more to a proper match than physiological compatibility. Kufera wanted her close relatives, including her husband, her two sons and her mother, to be OK with the potentially risky donation procedure. 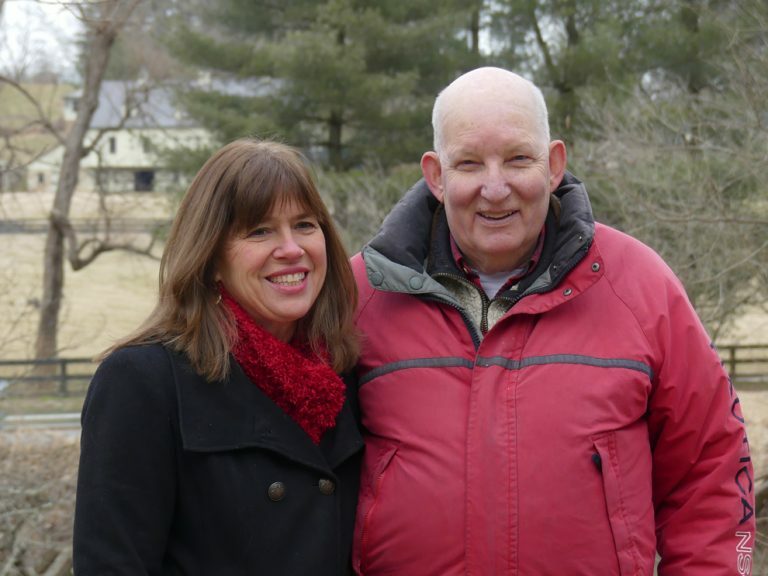 Her husband was very concerned about risks to her health following the donation, but the couple realized the benefits would far outweigh the risks. As the months went by, she did not communicate with Artes until she knew she was the one. “I didn’t want to tell him and get his hopes up,” she explains. A physician from Johns Hopkins Hospital called Kufera to share the news. “It was on Holy Thursday,” she recalls, adding that her desire to live her faith motivated her kidney donation to Artes. “I believed all along that I was being led to offer to donate my kidney and that all would be fine,” she says. The news reached Artes soon after in March 2018. “I don’t know how you make a decision like this,” Artes says. Kidney donation, he explains, is 95 percent safe for donors, but not 100 percent safe. Since qualifying for being a donor indicates excellent health, donors tend to have longer-than-average lifespans. The organ transplant took place last May. Their spouses wheeled Kufera and Artes to the same pre-op room, she recalls. Artes light-heartedly tossed out one-liners through the curtain divider as the two were prepared for surgery. The transplant procedure took four hours for Kufera and six hours for Artes. While still in the hospital, they visited each other and encouraged each other as they mended. After three weeks, Kufera had recovered enough to return to work full-time. It took four months for Artes to recover from surgery. While the kidney donation saved Artes’ life, the experience was transformative for Kufera as well. Before the surgery, her chaotic life meant a constant focus on completing task after task. Recovery forced her to slow down and enjoy quality time with friends and family. She is now more deliberate, making time for relationships.